When it comes to all around dental care and services, oftentimes the offices in the Rochester area have to send off restoration work offsite to be completed. That means a drastic increase in time and expense that no one wants to deal with. At the offices of Dr. Vincent Vella D.D.S, we offer a unique perspective when it comes to your dental needs by offering in-house dental laboratory services. Reducing time and costs all add up to a better experience for you all the way around. After all, who doesn’t love saving time and money? Give us a call to set up your appointment with us today. It’s safe to say that no two mouths or restorations are the same in the dental world. So, why would you want to choose mass replicated indirect dental replications? 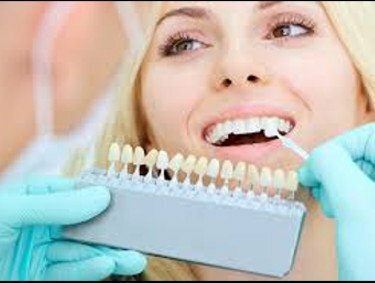 With the in-house labs in our offices, we offer truly customized dental restoration services to fit all of your needs. Whether you find yourself suddenly in the need for inlays and onlays, crowns, bridges, and veneers, we can facilitate all of your needs in-house rather than having to wait weeks sending out to an external lab. There is no replacement for knowledge and experience when it comes to dental laboratory services. The building of indirect dental replication requires years of experience to get it just right so that you have a comfortable fit and natural look, no matter what your needs might be. In our office, our dental technician, Bill Ellsworth, not only has the skill and education to produce quality dental replications, but he also has the years of experience to fit your mouth comfortably the first time.